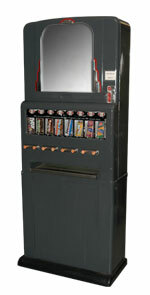 Vending machines in industrial plants were a comparatively new concept in 1946 when Erv Goodman invested in a dozen used candy machines and founded Goodman Vending in Lebanon, PA. As employers realized that the machines resulted in greater worker satisfaction and productivity, on-site vending increased and Goodman’s business grew. Goodman hired his first employee, Bill Buckholz, in 1948 and they soon decided to expand business into Reading, an industrial city in the next county. Business flourished there, and in 1963 the Lebanon location was sold and the Reading business expanded. Buckholz bought the vending business when Goodman retired, and continued to employ the sound principles he had learned from his mentor. The company expanded in 1989 into a new, custom designed 23,000-square-feet building just outside of Reading, and Bill Buckholz was joined in the company by his son, Tony, who had just graduated from an area college with a degree in business administration. 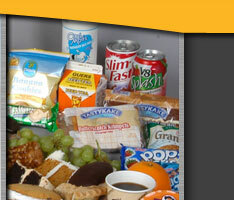 Goodman Vending returned to its Lebanon roots in 1994, when it purchased R&V Vending, which was renamed RV Goodman Vending. 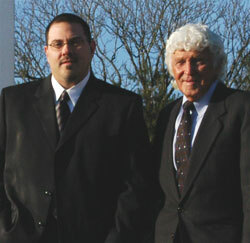 Bill handed over the day-to-day responsibilities of Goodman Vending to Tony in 1999, but remains on board as chairman. Today, we are, indeed, a family business that continues to prosper, employing about 75 people and enjoying our reputation for loving what we do, and for delivering superior customer service.